Glaswegians love their coat of arms and have done so since its matriculation in 1866. If anyone doubts it they just have to walk around the city and note how it has been used in almost every conceivable location, most prominently on buildings of the late nineteenth and early twentieth century. It is a subject surrounded by traditional beliefs, some of which have doubtful origins. The history of the coat of arms leading up to its formal registration is fascinating. The book is in two parts. The historical section deals with the first occurrences of the four principal elements of the design–the fish with the ring, the bird, the bell and the tree–and how they came together as Glasgow’s insignia. The second part comprises illustrations of the coat of arms from throughout the city and elsewhere, as well as those on artefacts large and small, arranged by theme. These represent a large sample of what exists. Most of the examples are accompanied by extended historical and other detail. It is hoped that this book will both inform and encourage Glaswegians, and others, to find further examples and continue to enjoy this important part of their heritage. Trade discount available to libraries and wholesalers, please enquire. The third is the series of morphometric studies on gravemarker lettering has now been published in Markers XXXIV, pages 103–126 – ‘Morphometric studies of gravemarker inscriptions: ‘The Ards Carvers’. All the statistical techniques used in these three studies can be found in my book ‘Dead easy statistics for gravemarker research’, available from the author and from Amazon. WATERBECK is now a small rural village in the south-west of Scotland. It has not always been that way. In the early medieval period, when the area was close to the Debatable Lands, the Bell family, known as the ‘bloody Bells’, were involved in the Border feuds, marauding and killing. 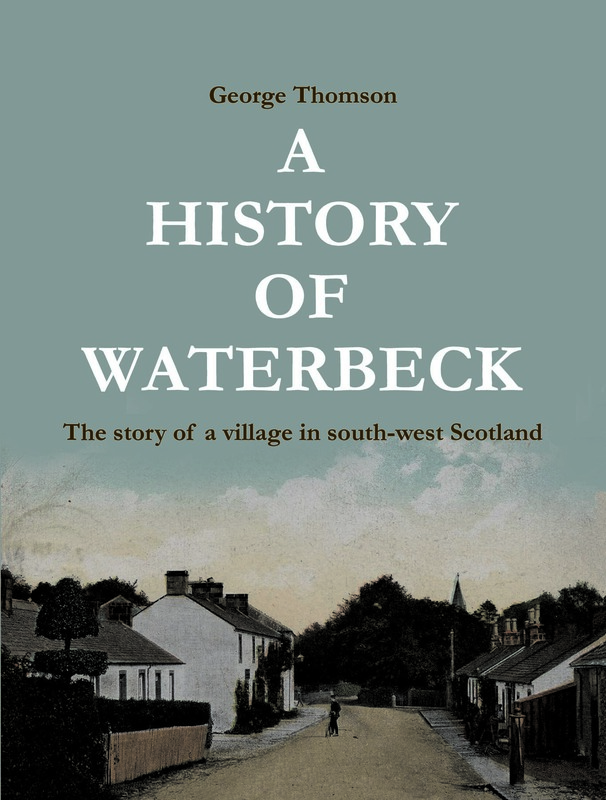 During the eighteenth century Waterbeck grew to be a thriving village supporting numerous trades, as well as being surrounded by working farms and other settlements. In its time it rose to become one of the most important centres for bacon-curing and agricultural seed production in Scotland, owing to the enterprise of the Carlyles. Then, in the 1970s, virtually the whole village was sold off, becoming the quiet, residential village it is today. This book will be available shortly. Order now and I’ll let you know when it is available. Other than the out-of-print book Tombstone Lettering in the British Isles by Alan Bartram, the books described here are the only ones on the subject of gravemarker lettering available anywhere. They present a detailed historical account of styles, their development and geographical distribution. They demonstrate the great variety of forms found throughout Europe and North America and explain how gravemarker inscriptions are an invaluable cultural resource. Methods of recording and analysis are covered in some detail. All are available directly from the author. Dr Thomson is pleased to offer talks or lectures on the subject of inscriptional palaeography, especially lettering on funerary memorials. Talks can be specifically on gravemarkers and their lettering or encompass a much wider field. The scope can be local, national or international. Current regions of expertise include, but are not exclusively Scotland, England, Ireland, Germany, USA and Canada. Lectures and / or workshops on recording and analysis can also be arranged. All talks, lectures or workshops are on an expenses only basis. If you would like to discuss possible events please contact Dr Thomson at the email address elsewhere on this website.